Kelsey and Brandon tied the knot at the beautiful, Cousiac Manor, which is located in Lanexa, Virginia. My favorite part of Kelsey and Brandon's Wedding was their ceremony site. 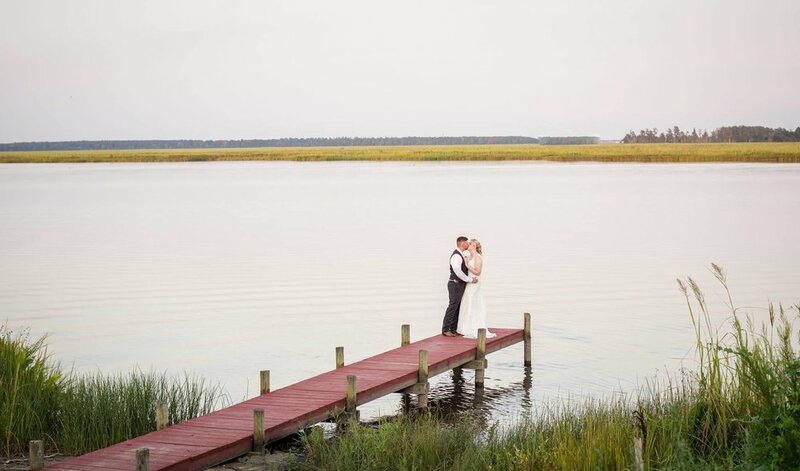 I love any water feature, but theirs with the weather that day created a gorgeous day for a wedding. One of my favorite things about Kelsey and Brandon's Day was their florals. Blooming Heirlooms by Paper Girl created her florals out of paper! I will forever be swooning over them. Lastly, K and A Moments Photography captured this couple's special day. I absolutely love K and A, because they are a power couple and super kind!